Gmail is all over the place, and there are links to Gmail right from www.google.com. Even in the app launcher there is a Gmail icon. But what if you have taken the plunge and switched to Inbox by Gmail and want to get to Inbox just as easily as you can Gmail? Now you can. 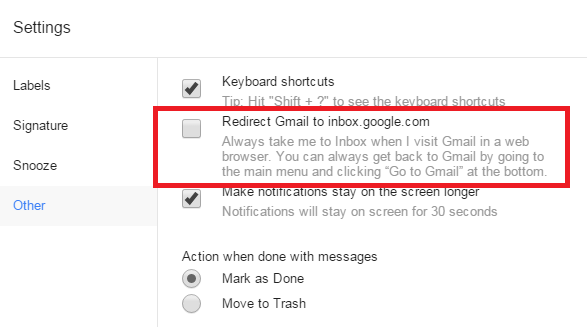 Inbox has added a setting to automatically redirect gmail.com to inbox.google.com. 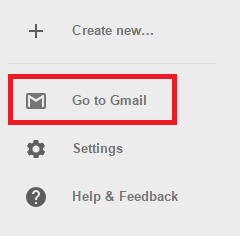 So whenever you click on the Gmail link on the google search page or from the app launcher or anywhere else, you will automagically be brought to Inbox by Gmail. You can find this option in Inbox settings under Other.